Traditional style with a twist. 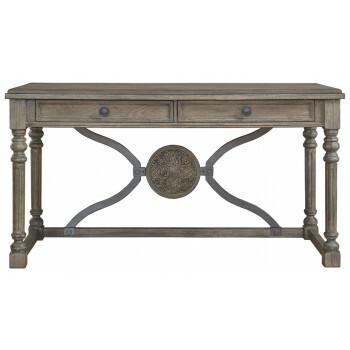 Merging a richly complex patina wood-tone finish with a bent metal, this desk wows with an aesthetic all its own. Turned and fluted legs create such a substantial look and feel. Marvelous medallion adds a signature touch.